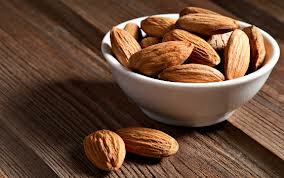 Almond is a very nutritious nut. It is a rich source of vitamin E, calcium, phosphorous, iron and magnesium. It also contains zinc, selenium, copper and niacin. The health benefits of almonds include getting relief from constipation, respiratory disorders, cough, hearth disorders, anemia, impotency, and diabetes. It also helps in hair care, skin care (psoriasis), and dental care. Cashew Nuts are packed with soluble dietary fiber, vitamins, minerals and numerous health-promoting phytochemicals that help protect from diseases and cancers. Health benefits of dates are uncountable, as this fruit is affluent in natural fibres, rich in several vitamins and minerals, contain oil, calcium, sulphur, iron, potassium, phosphorous, manganese, copper and magnesium which are advantageous for health. Consumption of one date daily is necessary for a balanced and healthy diet. Dates help in fighting constipation, intestinal disorders, weight gain, heart problems, sexual weakness, diarrhoea and abdominal cancer. health benefits of ginger also include combating cancer more effectively than pharmaceutical cancer drugs. Pistachios are an excellent source of copper and manganese, and a good source of phosphorus. They're also an excellent source in vitamin B6, needed for healthy red blood cells. Pistachios provide 20 percent of the Daily Value of vitamin B6 per serving. Pistachios also offer 15 percent of the Daily Value of thiamin per serving, which is required for energy production. Pistachio nuts contain smaller amounts of other B vitamins, including folate, biotin, riboflavin, niacin and pantothenic acid. Flax seed is very low in carbohydrates, making it ideal for people who limit their intake of starches and sugars. And its combination of healthy fat and high fiber content make it a great food for weight loss and maintenance. Beetroot contains high concentrations of nitrates, which are converted into nitrites by bacteria in the mouth. Nitrites help open blood vessels in the body, increasing blood flow and oxygen to places lacking in oxygen.. It has been linked with better stamina, improved blood flood and lower blood pressure. Carrot is known for beta carotene which gives the body Vitamin A, B Vitamins, Vitamin E and many minerals. The health benefits of drinking carrot juice are thought to be good prenatal health, eyesight, bones and teeth, liver and nails, skin and hair as well as helping in cancer prevention. The green apple lowers the bad cholesterol level in the body, and prevents the formation of blood clots which largely reduces the risks of heart attacks and brain strokes, it has the same benefits of aspirin which is used to protect against dangerous blood clots. The main organic compound in the tomato is lycopene. Lycopene gives the tomato its red color and has been found to have antioxidant and cancer-preventing properties. It acts as an antioxidant by protecting cells and organs from oxygen damage. It has also been found to help protect DNA in white blood cells. Lycopene has been found to be effective against several types of cancer, including colorectal, breast, prostate, lung and pancreatic cancers. Tomato juice contains a factor (codenamed P3) that inhibits platelets in blood from clumping together and forming blood clots, this is beneficial to diabetes sufferers. Pineapple contains almost all vitamins and minerals essential for the digestive system. It stimulates the kidney, relieves intestinal disorders and has diuretic properties. It also claimed to be an effective remedy for intestinal worms. Pineapple juice contains a mixture of protein-digesting enzymes called Bromelain. Bromelain is an anti-inflammatory agent, which is used for athletic injuries, arthritis and post-operative swelling. Bromelain has also proved to be effective in treatment of hemorrhoids, colitis, sore throat and menstrual disorders. Pomelo rind contains rich bioflavonoids that help in fighting against cancer cells. It prevents the spread of breast cancer cells especially by enabling the body to eliminate excess estrogen. It helps in digestion by producing an alkaline reaction after digestion, rich in vitamin C content that makes it beneficial in strengthening and maintaining the artery elastic nature, effective in clearing the accumulated arterial deposits in the body and thus eliminating the impurities, beneficial in treating diabetes, fatigue, sore throat, insomnia, fever, stomach and pancreatic cancers and many other infections. Health benefits of lemon include treatment of throat infections, indigestion, constipation, dental problems, fever, hair care, skin care, internal bleeding, rheumatism, burns, overweight, respiratory disorders, cholera and high blood pressure. Known for its therapeutic property since generations, lemon helps to strengthen your immunity system and cleanses your stomach. It is not only a blood purifier but also enables body to fight diseases. Lemon juice, especially, has several health benefits associated with it. Useful for treating kidney stones, curing heart strokes and reducing the body temperature, lemonade helps you to stay calm and cool. The antiviral, antibacterial, anti-inflammatory and antioxidant activity of coconut water may help with a number of minor to severe health conditions. This nutrient rich drink has been used to regulate blood pressure, blood sugar, and cholesterol levels, and it has been found to boost energy levels and increase metabolism in the human body. Other conditions that it has been found to be effective at treating include stomach flu, dysentery, indigestion, constipation, intestinal worms, cholera, urinary abnormalities, urethral stone, malfunctioning kidneys, dry and itchy skin, age spots, and wrinkles. The health benefits of celery are more than just lowering blood pressure. They also contain at least eight families of anti-cancer compounds to combat cancer. Parsley is an amazing medicinal herb, is delightful to the taste and agreeable to the stomach. It is a very versatile plant to aid the body in regaining health. The root contains calcium, B-complex vitamins, and iron, all of which nourish the glands that help regulate the uptake of calcium. It is a source of both magnesium and calcium, and especially potassium, high in vitamin A, beta-carotene and vitamin C. As a wholesome organic-food it is also a good choice for bone health with vitamin K.
Pak Choi contain glucosinolates, which are converted to isothiocyanates in our body that reduced lung, colon, prostate and endometrial cancers. Spinach comes out at the top of our ranking list for nutrient richness. Rich in vitamins and minerals, it is also concentrated in health-promoting phytonutrients such as carotenoids (beta-carotene, lutein, and zeaxanthin) and flavonoids to provide you with powerful antioxidant protection. Based on its nutrient richness, romaine lettuce is an excellent source of vitamin A (notably through its concentration of the pro-vitamin A carotenoid, beta-carotene), vitamin K, folate, and vitamin C. Romaine lettuce also emerged from our ranking system as a very good source of dietary fiber and 4 minerals. Kale is rich in numerous health benefiting polyphenolic flavonoid compounds such as lutein, zeaxanthin, and beta-carotene, and vitamins than found in any other green leafy vegetables.